Course Website: Official Website - Visit Gold Mountain (Olympic)'s official website by clicking on the link provided. 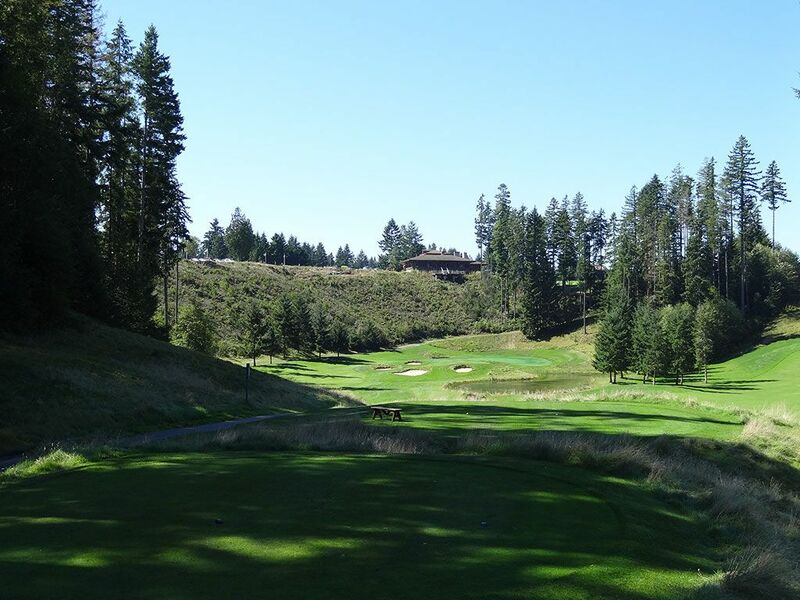 Accolades: Ranked 9th in Washington on Golf Course Gurus' Best in State list. Host of the 2006 U.S. 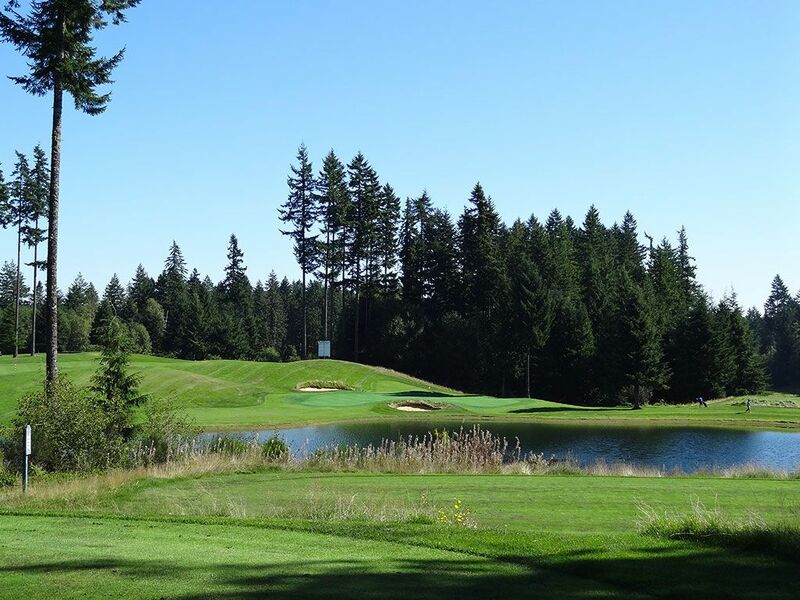 Amateur Public Links and annual host of the University of Washington Husky Invitational. 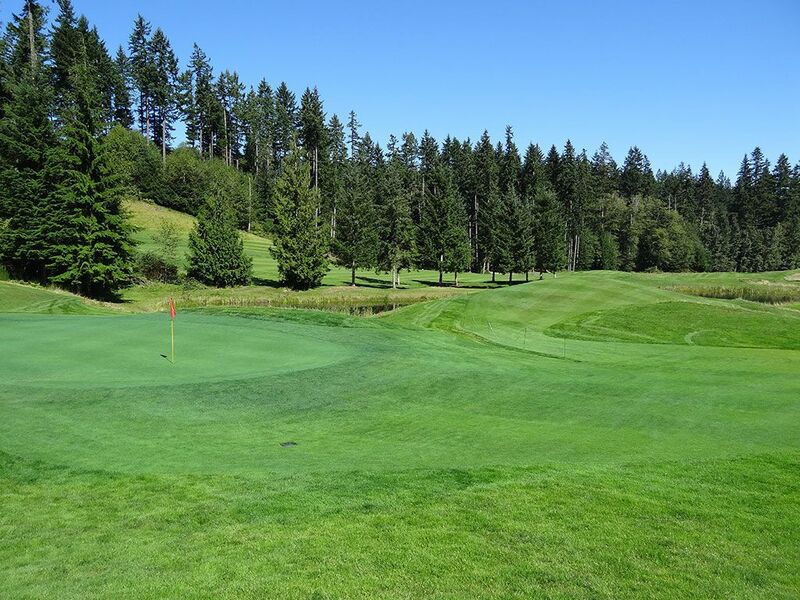 What to Expect: The Olympic course at Bremerton's Gold Mountain complex quickly rose to prominence on the Washington golfing scene after it opened in 1996. 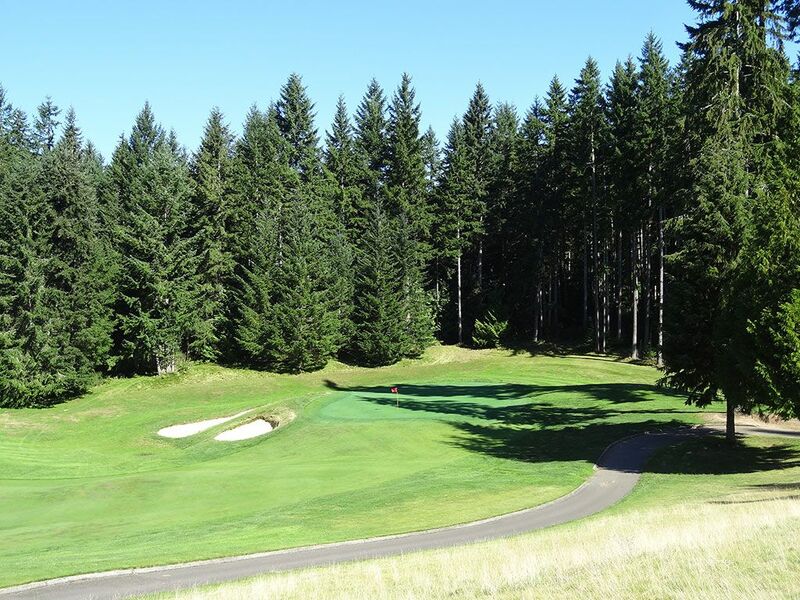 The John Harbottle design features towering evergreens, a handful of water hazards, and significant elevation changes. 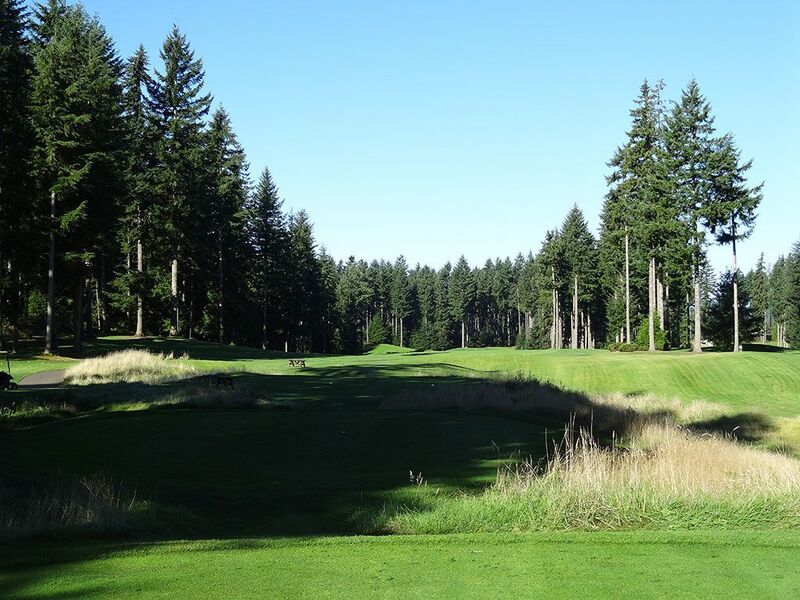 Driving corridors are generous for a course cut out of the thick Pacific Northwest forest so the real challenge lies in sticking the greens that are more difficult than the sister Cascade course. The entrance into the course is the most inspiring drives into a muni course I've ever experienced. 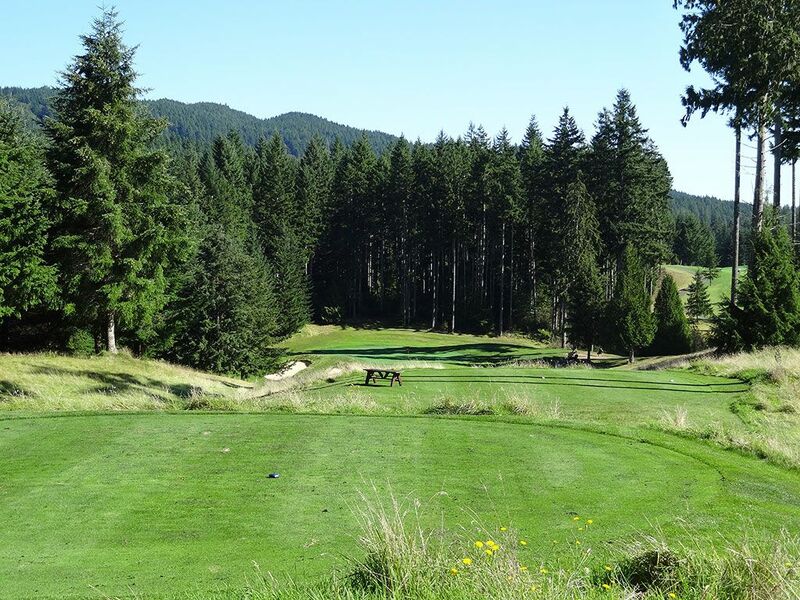 Your car winds up a road that is darkened by overgrown trees dressed in thick moss that helps you forget about the hectic life found outside Gold Mountain and clears your mind in preparation of a great day of golf. The final four holes are fantastic with water coming into play and big swings in your score being possible. 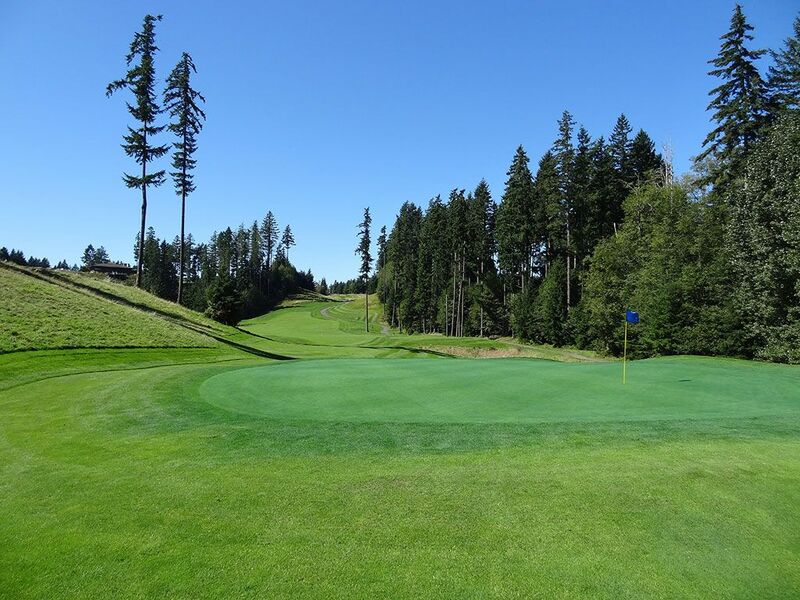 Olympic's 18th hole is a unique finishing hole in the golfing world since it is a drivable par four; resulting in an excellent way to finish a match play contest. 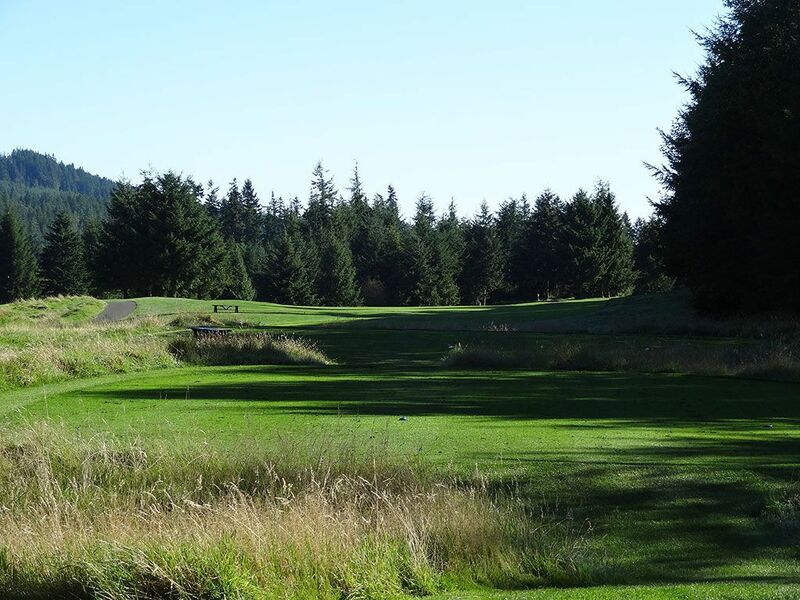 The flatter Cascade course is more walkable and easier to score on than the Olympic track, thus making Harbottle's design the host course of choice for tournament play. 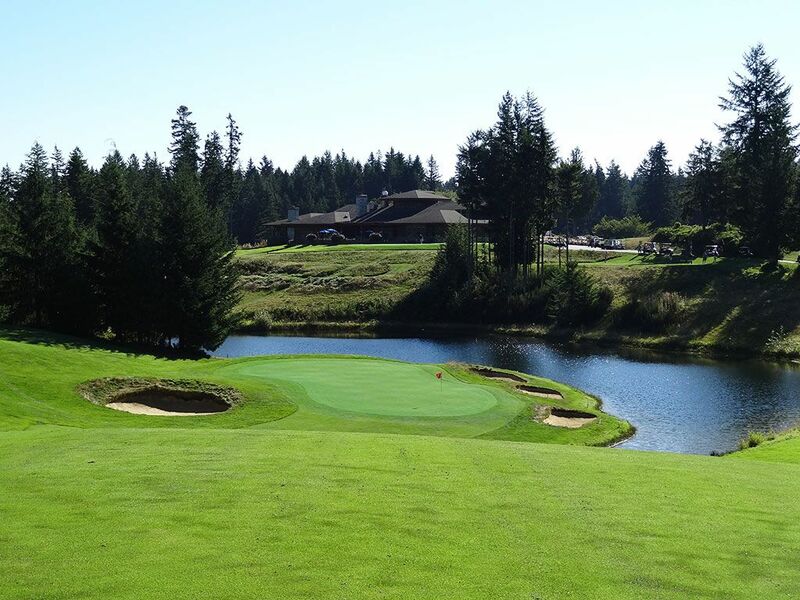 Gold Mountain is comfortably the best golf value in Washington and may only be trumped by Chambers Bay as the best municipal course in the state. Signature Hole: 16th Hole – 188 Yard Par 3 – Part of Olympic's impressive finishing stretch of holes, the 16th is a heroic one-shotter over the water to a green that is sloping off the edges. 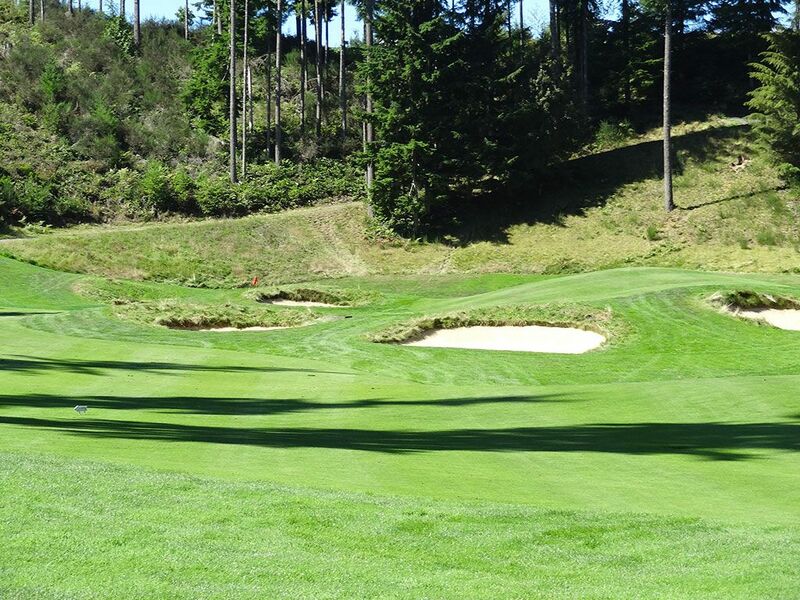 A small bunker is found in front that the green horseshoes around with another bunker in the rear that sets up a perilous bunker shot to a green sloping away from you and towards the water. It's an attractive hole that requires each tee box to clear the water from, while unsuccessful attempts will be given a drop area to the right of the green. Best Par 3: 12th Hole – 251 Yards – The lengthy 12th is one of the most exciting tee shots of the round with a 50 foot drop from tee to green while trying to avoid the bunkers left of the putting surface. The nearly 40 yard long green angles away from the golfer front right to back left which will be most receptive to a draw if you can muster one up. A green in regulation is an impressive accomplishment from the tips here. Best Par 4: 7th Hole – 462 Yards – The lengthy 7th is a strong test on the front nine that will take pairing a couple of nice shots in order to walk away with par. After keeping your drive between the trees, you are faced with a testing approach shot over a bunker complex to a raised green. Players that don't want to flirt with the trouble can stay up the left side and cut their approach into the green. 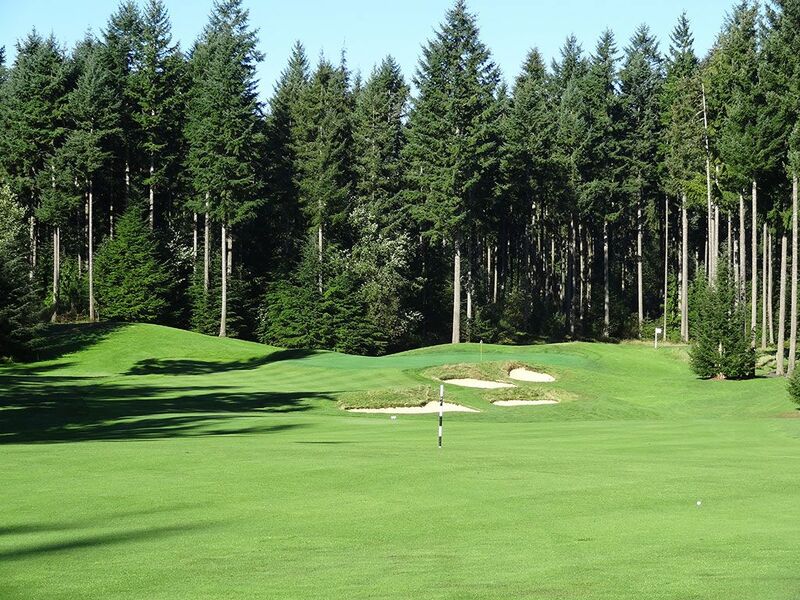 The length and green complex make this one of Olympic's most difficult and rewarding holes. 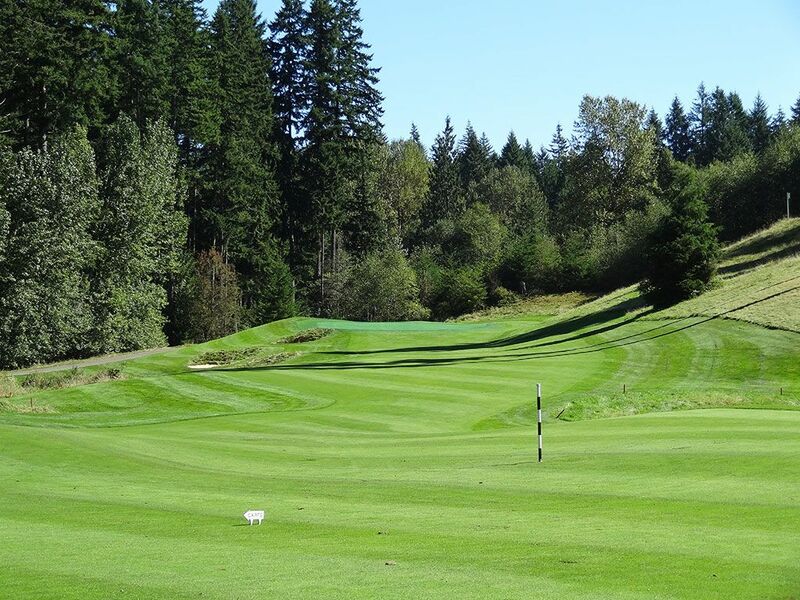 Best Par 5: 9th Hole – 621 Yards – Truly a three shot hole, the 9th is the longest offering on the course and is one of the holes you won't forget playing at Gold Mountain's Olympic course. With over 600 yards to cover tee to green, you'll need to keep your focus the entire time if you expect to walk away with a good score. The tee shot plays to a slightly raised fairway before bending right and going on a steady descent to the green. The putting surface is hugged by water along the right and rear with four bunkers also waiting to cause trouble. Players leery of flying their approach to the green can use the hill fronting the green complex to feed their ball in on the ground. When laying up on your second shot, players would be wise to find the flattest portion of the fairway near their favorite yardage because the result of the third shot can quickly become the difference between rolling a birdie putt or scrambling for a bogey. Birdie Time: 18th Hole – 325 Yard Par 4 – A driveable par four as the closing hole? Yep, that is exactly what Harbottle gives you here which also sets up for an incredibly compelling final hole in a match play battle. From an elevated tee players are given a variety of options and obstacles to consider enroute to the green. The safe play is a 200 yard shot up the left side of the fairway that will set up a wedge shot into the green that needs to avoid five bunkers that protect the putting surface. The bold play at the green must carry water and a bunker to reach the putting surface but the payoff can be grand using this shortcut. With the patio of the clubhouse sitting high upon the hill above this green you are sure to have onlookers waiting to see how you manage this final test. Bogey Beware: 17th Hole – 467 Yard Par 4 – While the 18th is a great chance to card a birdie, you're going to have to survive the 17th to get there. 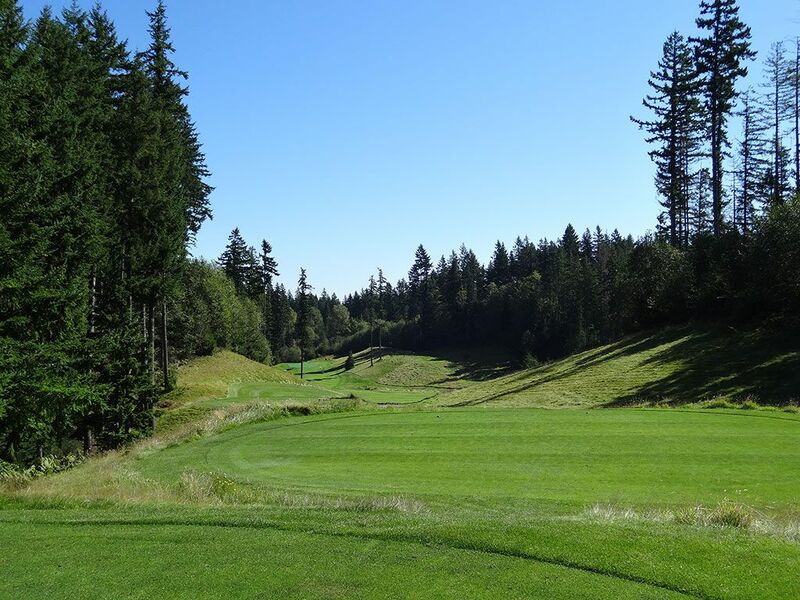 This natural hole carves through a valley set by hills on either side with the larger hill on the right providing the dominant right to left slope in the fairway. The short grass bends around the hill on the left with the prime landing position being out of view. A towering lone tree sets the left boundary of the driving zone so bombing a tee shot just right of that pine will leave you in position 'A.' The approach shot ascends to a green that features a sharp edge to the left and rear and will cause certain doom if you miss there. The smart play is to use the hill on the right and let it feed the ball onto the putting surface. 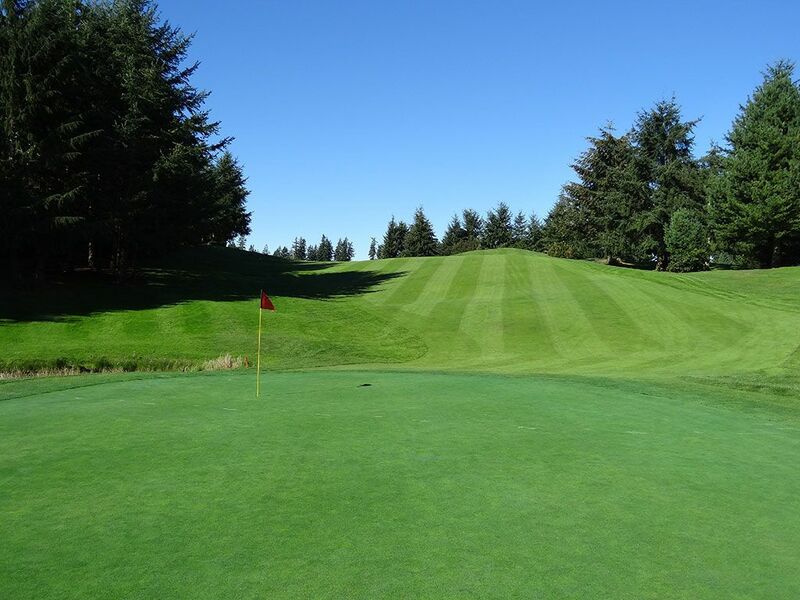 With a semi-blind tee shot and a demanding approach shot, 17 can cause trouble to your scorecard in a hurry.